Locality: United States, Colorado, Custer, 7 miles west of Westcliffe on Hermit Road. Habitat: On side of stream. 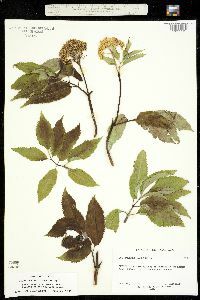 Notes: Original ID as Sambucus racemosa L.